If our civilization ran out of energy, it would grind to a halt, so Lifeboat Foundation is looking for solutions. Our best solution to a gamma ray burst is to create a large utility fog to protect the Earth. 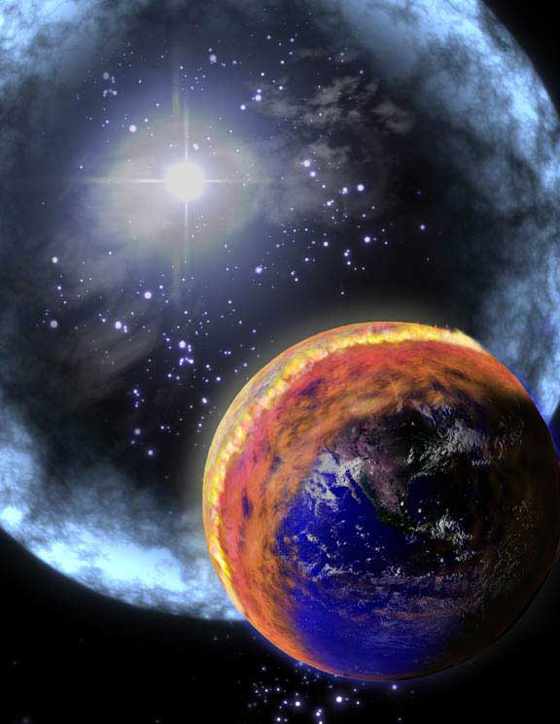 A gamma ray burst could do serious damage to the atmosphere. “Extreme Physics” Observatory Ready for Final Assembly, press release by NASA – September 18, 2006. This space telescope will be at least 30 times more sensitive than previous gamma-ray detectors and will have a far greater field of view.